Gelatin and collagen supplements play an important health recovery role in the Paleo Diet, GAPS Diet or Specific Carbohydrate Diet. Long known for improving hair, skin and nails, gelatin has been commercially available since the 1920’s. 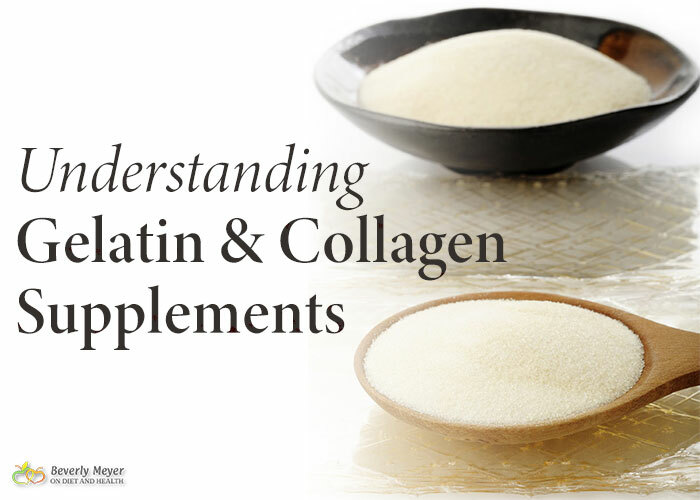 The terms collagen and gelatin can be used interchangeably when talking about supplements. Here’s what I learned in doing this podcast with a representative from Vital Proteins Collagen products. Collagen is the most abundant protein in the human body. It is a key component of ALL connective tissue, including that found in bones, skin, joints, ligaments, hair and muscles. Without collagen, we couldn’t stand up or move. Gelatin is protein derived from collagen, yielding a specific list of 18 amino acids, including 8 of the 9 Essential Aminos. 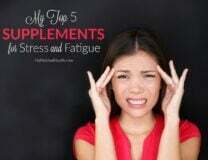 Tryptophan is not part of collagen, and gelatin is also low in Methionine which can be inflammatory. Gelatin provides 6 grams of protein per teaspoon. The two primary providers of Gelatin/Collagen are Great Lakes and Vital Proteins. What are the dominant aminos in gelatin and collagen? Proline and glycine are abundant in gelatin and collagen supplements. Proline and glycine were also abundant in our Hunter – Gatherer diets, as we used all parts of the animal in stews and roasts, eating “nose-to-tail”. Our modern diets, focused as they are on muscle meat, gives us less of these aminos than we evolved to require. As steak and burger eaters, we only have three ways to get these important aminos in high concentration…. How can I get proline and glycine? You could buy them as pills, but getting the full complement of aminos in a collagen powder is better. That being said, Glycine can be useful taken with our Passion Flower supplement for sleep or anxiety (here it is in alcohol or glycerite tincture form). It is a precursor to GABA, our main inhibitory and calming neurotransmitter, which I write about frequently. See this article and this one. Get proline, glycine, arginine and the rest in Bone Broth made from bones, skin, feet, gristle and other “non-edible” portions of your pastured meat and poultry or wild fish. There are many recipes on the web if you Google “Paleo Bone Broth”. Freeze raw or cooked scraps and carcasses until you have enough to make a slow 24 hour broth. You’ll extract lots of minerals in this broth too. That’s one advantage of bone broth over gelatin. Plus, broth tastes great! 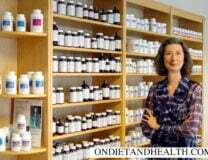 But, packaged powders from Vital Proteins or Great Lakes are more convenient. Thirdly, you can buy gelatin from pastured animals. Collagen can be extracted from bones, but the gelatin we see in these companies comes from animal hides. Both Great Lakes and Vital Proteins say their animals are pasture-raised. The hides (skins) are highly processed to break down and extract the collagen. This is then further processed into a tasteless powder. For Paleo purists, this processing seems like a bad thing as we avoid processed foods. Yet, unless committed to regular bone broth, we won’t get the benefits of the amino acids. Do you want the gelling kind or the non-gelling kind? Vital Proteins “Collagen Peptides” and Great Lakes “Collagen Hydrolysate” dissolve in water, letting you add it to water, smoothies or stews. If you want gelatin desserts, gummy squares or aspics, get the Vital Proteins Beef Gelatin. Diets heavy in muscle meat elevate methionine and tryptophan. Research shows that restricting methionine, or balancing it with glycine, can prolong life and reduce inflammation. My podcast with Denise Minger on her book “Death By Food Pyramid” touches on this, as does her book. Chris Kresser also has this article about protein, methionine and gelatin. Gelatin provides glycine and proline which we use to repair the gut, improve digestion, lubricate the joints, improve skin, improve sleep and anxiety and possibly reduce cellulite. Because Arginine promotes Human Growth Hormone, gelatin can help boost metabolism and weight loss. Glycine has some anti-estrogenic effects. If you eat plenty of nose-to-tail foods such as oxtail soup and bone broth, you don’t need gelatin and collagen supplements. But for the rest of us, 2 teaspoons or so a day in water or gummy squares is recommended. If you’re interested in a comprehensive supplement check out the JOT Bones, Disc, and Cartilage Support in my online store. What’s the difference between Vital Proteins and Great Lake brands? I prefer the packaging of Vital Proteins. They use large BPA-free containers with wide-mouth lids. The containers close tightly and allow easy scooping. Great Lakes is packaged in a cardboard tube that does not seal out air or moisture. The container leaks gelatin powder if you turn it upside down. This can cause a deterioration of the product, color change and possible bacterial contamination. Both work the same. The gelling action of the gelatin, and the dissolvabilityof the hydrolysates seemed equal. Pricewise: compare by weight of product rather than by serving size. Great Lakes’ serving size is smaller, so their label lists more servings. Vital Proteins suggests a larger serving, so it appears you get less. Vital Proteins ships for free. If you have Amazon Prime and get free shipping on Great lakes, it is less expensive than Vital Proteins. If you’re paying for shipping, they’re about the same. What else is in this podcast? I talk about Lysine and Arginine, and how Arginine can promote Herpes and Shingles. I recommend taking a half capsule of Lysine with every serving of gelatin if prone to these viruses. 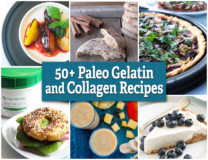 I suggest this Paleo Parents article for 60 Recipes using gelatin!! 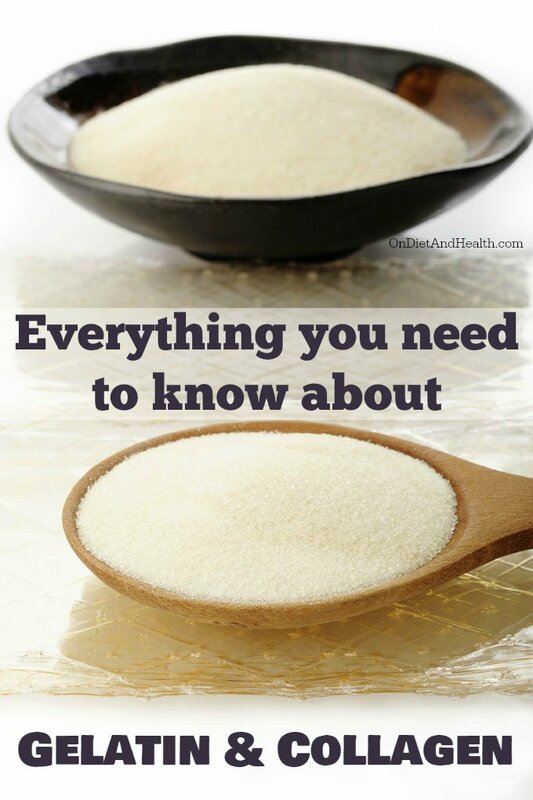 We chat a bit about glutamic acid, glutamine and MSG. The podcast link is at the bottom of this article, or go to my iTunes page for Primal Diet – Modern Health. There’s many shows there, and they’re all topic oriented. Find a topic you’re interested in, and listen. Don’t forget to leave a review! It helps my show get promoted….